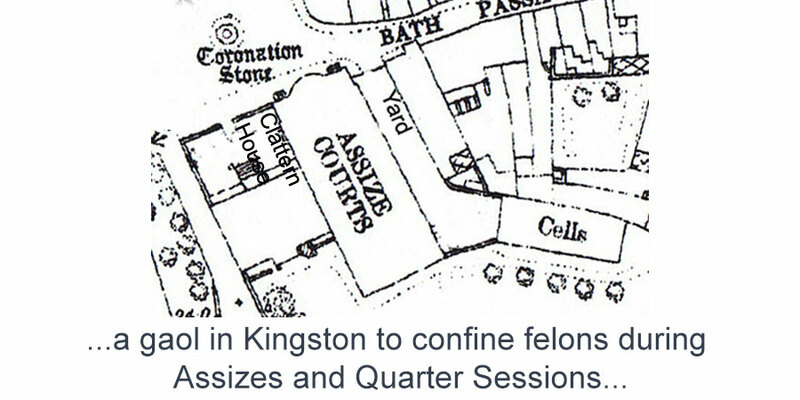 There was a need for a gaol in Kingston to confine felons during the Assizes and Quarter Sessions. The Stockhouse, the responsibility of Kingston Corporation, was used for this purpose until around 1801. Then, until 1855 part of the House of Correction, for which the County of Surrey was responsible, was used to confine felons for trial. A purpose-built House of Detention, adjacent to the Assize Courts, was then established by Kingston Corporation. This was last used to confine felons at the Midsummer Quarter Sessions held on 1 July 1890.